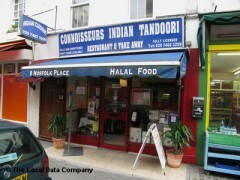 About: The Indian Connoisseurs serve a variety of Indian dishes at their restaurant. The restaurant is air conditioned and catering for private parties of up to 28 people is available upon request. A takeaway and delivery service is provided. walked in and asked the host if they took mastercard and in perfect english said yes. then took forever to get our food. had to repeatedly ask for drink refills. have had better food in frozen dinners. got ready to pay and their credit card machine was broke. they then proceeded to write out our ticket and double charged us and were not able to speak english at all. made me furious. I would not recommend this restaurant to anybody, ever.